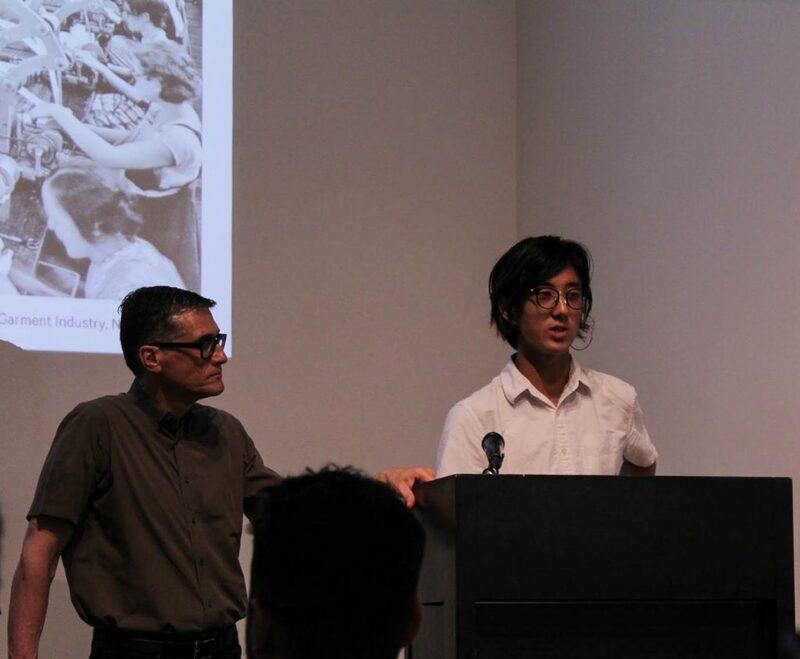 Local New York architects and designers, joined by those in town for the annual AIA conference, gathered during Pride Month for an interactive workshop and discussion with MIXdesign and QSPACE leaders who are focused on pioneering ideas for inclusive design. 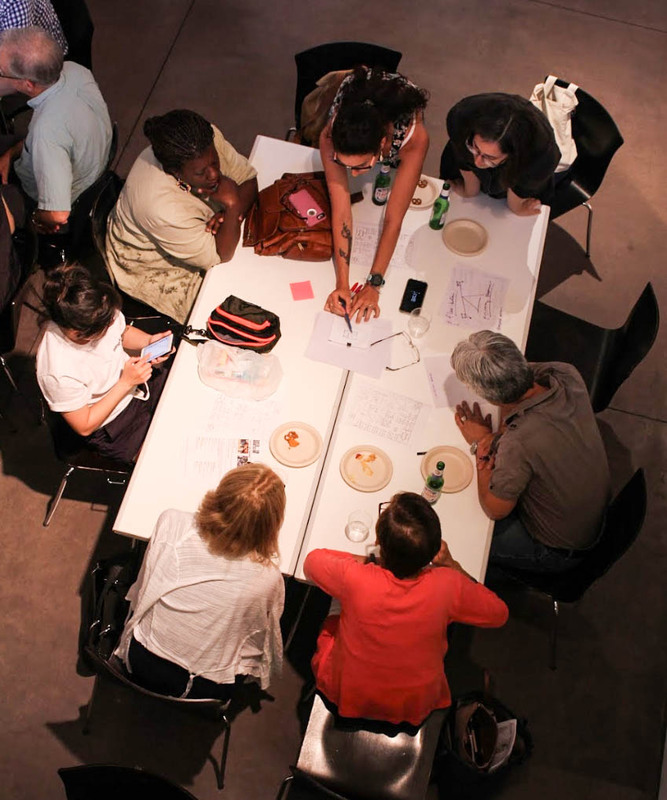 The evening’s program, “Sketching Equitable Workplaces,” was created to discuss and envision workplace design considerate of all people — regardless of age, gender, race, religion and disability. Open to the public, guests from varying design backgrounds came to enjoy cocktails, learn about the complex social justice issue, and get inspired by innovative design leaders. 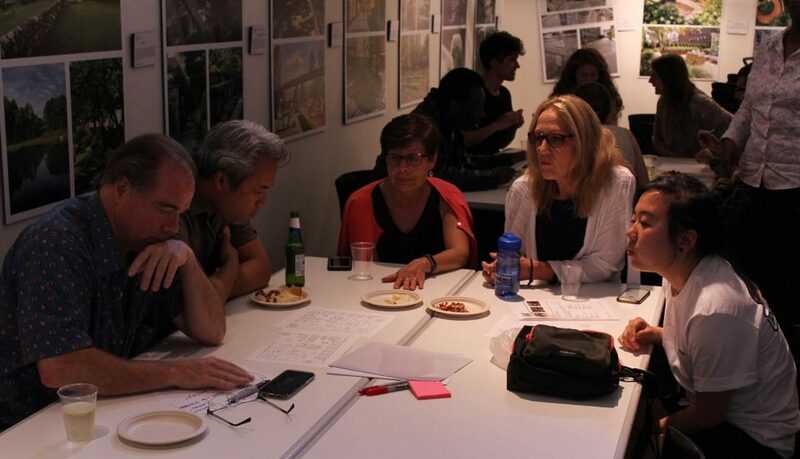 The “Equity X Design Mappy Hour” was organized at the Center for Architecture and moderated by AIA New York’s Diversity and Inclusion Committee co-chair Danei Cesario. 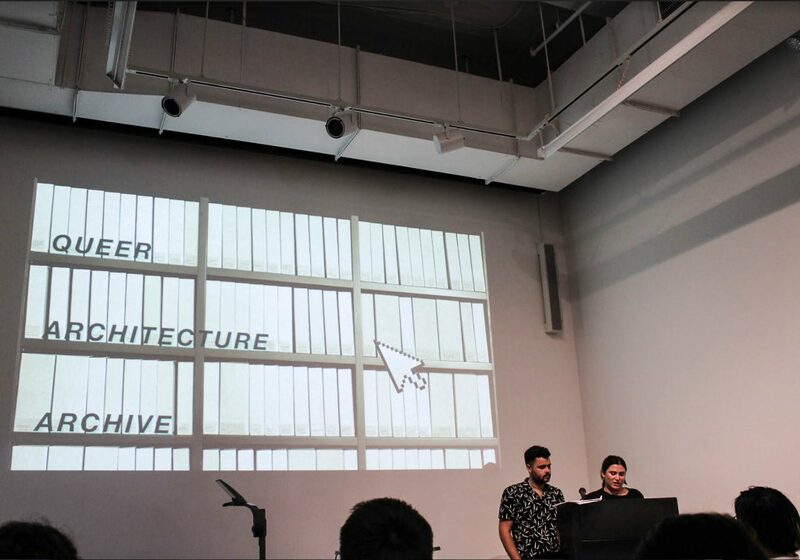 Following an introduction by Cesario, Lauren Johnson and Ryan Day, founders of QSPACE, spoke about their experience creating a digital LGBTQ+ architects’ archive to enhance access to resources. They also reflected on importance of queer visibility and perspective in the built environment. Johnson and Day started QSPACE in response to a lack of representation, conversation and mentorship from queer people within the architecture industry. It actually originated as a student group at Columbia University, but now exists as a digital platform for architects to research related grants, programming instructions and contacts. It also produces research on topics like gender inclusive bathroom design, LGBTQ homelessness and housing and queer architectural history. “There was a moment in school when I had a professor turn to me and say, ‘Just write “Restroom” in a white box.’ I thought, no, if you can’t design a bathroom, you can’t design for the body, and understand that we are all different, and have different needs. So Lauren and I created QSPACE to give people and students the tools to easily have that conversation within their workplace,” Ryan explained. 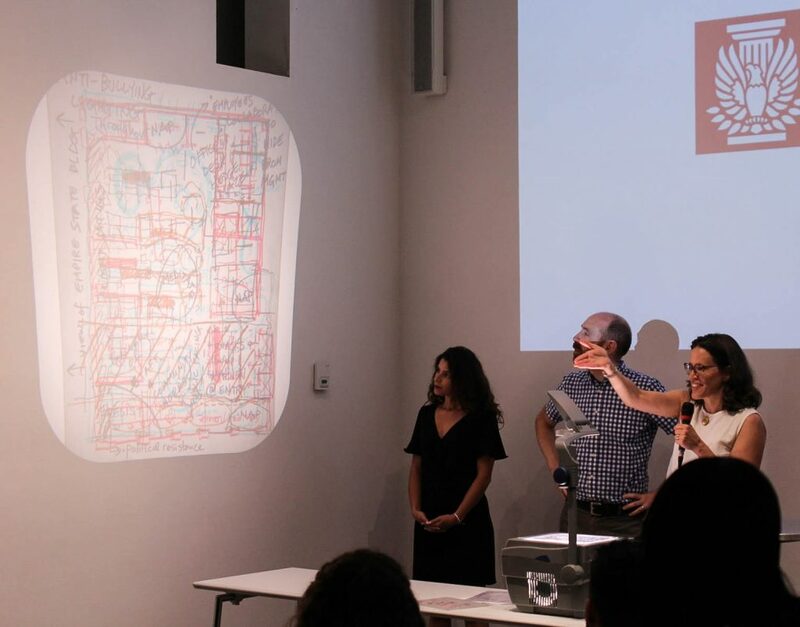 Joel Sanders, founder and principal of Joel Sanders Architecture and co-founder of MIXdesign, presented with MIX’s architectural designer Seb Choe, on their project, “Stalled! : Social Equity & Public Restrooms.” This project, which was formed in 2015, puts genderless, inclusive bathroom design ideas under a magnifying glass and seeks to tackle the topic through design, legal and educational initiatives. 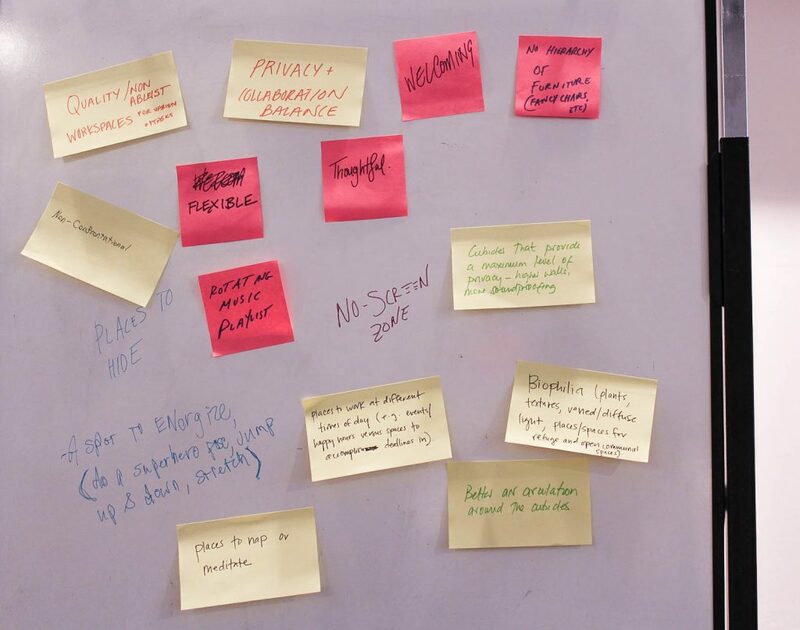 A cross-disciplinary team has been developing best practice guidelines for all-gender restrooms while also considering practical changes that would need to be implemented such as amending the International Plumbing Code that impacts most restroom construction in the U.S.
“If a company is interested in retaining diverse employees, we will think about how the workspace could be rethought to meet the needs of the diverse constituency of a particular office,” Sanders told Hunter Douglas Architectural. He describes MIXdesign as a “new consultancy” firm focused on developing inclusive designs for those “who have been left out of the equation.” It’s dedicated to working with progressive companies that are interested in acknowledging the significance of diversity and inclusion within a design context. Currently, MIX is collaborating with universities to develop libraries and social spaces, but hopes to eventually move into designing workspaces too. Following these presentations on inclusive design, guests were split into four groups and tasked with designing their own equitable workspace. Before a whiteboard, each team offered different ideas and types of spaces they felt were important for other groups to consider working to their designs. After about an hour of sketching out ideas, each group presented their work through a projector. Some of these designs included biophilia, private and community work areas, leisure space, and even space for a dog or cat to stay during workdays. It became clear that creating a space considerate of everyone would be difficult, but not impossible — and could take on very different aesthetics too. After every team presented, Cesario laid each design over the other on the projector to represent the complexity of such a project. To learn more about how MIXdesign is working to make inclusive design “the new normal,” check out Metropolis Magazine‘s feature.